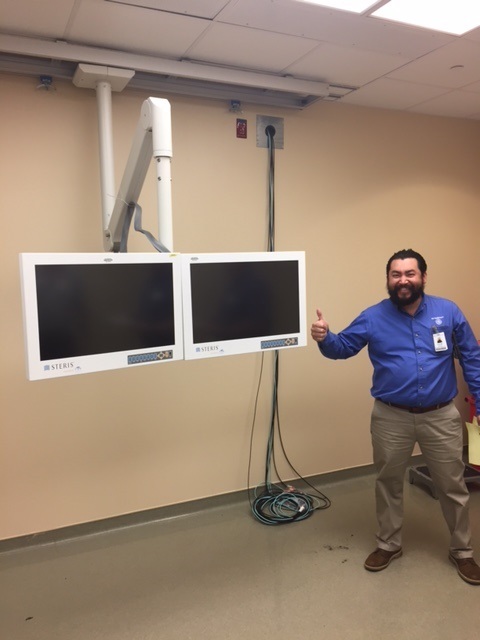 TAMPA, Fla. - Feb. 23, 2017 - PRLog -- Florida Hospital Memorial installed a new Mavig monitor suspension system as part of an upgrade to its electrophysiology lab. The new monitor suspension system features automatic weight balancing, friction free operation, and internal cabling which allows rapid movement of the system in case of emergency, eliminates the effects of friction, and enhances the system life. The stable, high-quality systems are optimally designed for routine use in the hospital or the radiological practice. They offer maximum safety and high flexibility. The new monitor suspension system provides unlimited flexibility in display positioning during imaging procedures and beyond. MAVIG is known for premium quality medical technology and personal protective equipment, as used in in hospitals and medical practice. The product range includes ceiling suspended and table mounted x-ray protective systems, mobile shields, suspension systems for e.g. monitors and lamps, radiation protective observation windows and curtains as well as personal protective equipment and accessories. Florida Hospital is one of the country's largest not-for-profit health care providers with 22 campuses serving communities throughout Florida. For more than 100 years, Florida Hospitals has been profoundly committed to those who seek care. Since 1908, Florida Hospital's commitment to providing unsurpassed health and wellness services has expanded to meet the increasing needs of an ever-growing population.